His name is Thapelo Seemise but is most commonly known as “Thapelo Tips”. The “Tips” coming from “Thru Inspiration People Succeed”. Thapelo Tips trained as a Contemporary Dance choreographer, comedian and was a singer and a drummer in the community church. Thapelo Tips has worked for the Aghulas Theatre Works as a dancer, choreographer in 2007. Thapelo Tips has done shows around Tshwane and Johannesburg as a comedian and MC while raising money for the needy children and visiting schools to share his comedy with the school children. 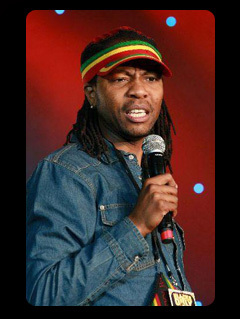 Thapelo Tips performs regularly at Ozone Comedy in Soweto, Alexander and Monte Casino. Thapelo Tips has also performed at the Tshwane Comedy Festival and is currently hosting his own shows called Tips Comedy Joints in Tshwane. Thapelo Tips has many performances under his belt including: Tshwane Comedy Festival 2010, The Kings of Comedy in Botswana 2010, Diamonds and Dorings Comedy Show in Kimberly, Blacks Only with David Kau. Thapelo Tips is a regular performer at Parkers Urban Nights at the casinos. Thapelo Tips is currently working with David Kau. Thapelo Tips is such a versatile person that he can perform in any place or genre that he is qualified for.